Attractive home with sun lounge and sitting room for guests use. All bedrooms are ensuite with TV, tea/coffee making facilities. Extensive breakfast menu. 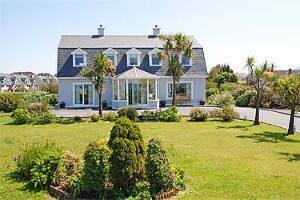 Enjoy relaxing stays with spectacular views of the Atlantic Ocean and Kerry mountains with magnificent sunsets. Stay and play at Waterville Championship Golf Links and also the new Skellig Bay course. Tee times arranged. Bookings taken for trip to Skellig Island. Drying room for guests use.Just a 3 minute walk to local gourmet seafood restaurants and traditional pubs. Waterville ( An Coirean) - The Little Whirlpool - is the premier coastal tourist centre of South West Kerry and on the Ring Of Kerry. It has attracted many famous celebrities down through the years including Charlie Chaplin and his family. Waterville nestles between Lough Currane and Balinskelligs Bay, where you will find mountains and lakeland with the added advantage of the sea on your doorstep. 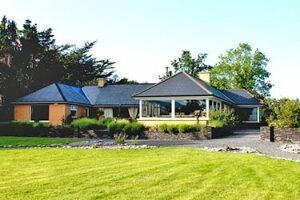 Chelmsford House Bed and Breakfast is a luxurious friendly home 5 minutes walk from Killarney town centre. Awaken to magnificent Muckross View overlooking the world famous lakes and mountains of Killarney. Guests can enjoy a full breakfast menu in this comfortably spacious dining room every morning before they depart on their day's journey. All guest bedrooms are en-suite and are non-smoking. Each room has TV and Tea & Coffee making facilities along with hairdryers. 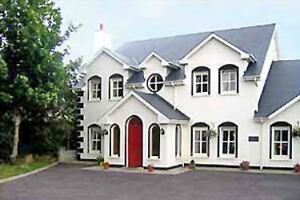 Woodlands Guesthouse is a luxurious, newly purpose built guesthouse in the centre of County Kerry. A free shuttle service is offered for Kerry Airport, Farranfore, which is just a few minutes away. This house has been tastefully decorated to a very high standard with ultimate comfort in mind for our guests. Your host Eilis has experience in the five star sector and it shows in the standard of accommodation. Tea, Coffee and Pastries served on arrival and at any time during your stay. Guests are welcome to use the guest lounge which is equipped with large screen multichannel TV. An extensive dvd collection is available for guest use. Guests are also invited to use the sunroom, decking area and seating by the river overlooking the beautiful landscaped gardens. Early breakfasts available. 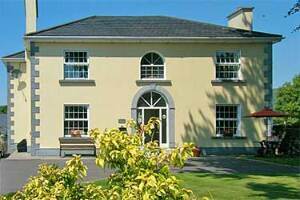 Manor Lodge B&B is only 2 minutes drive from Tralee town centre. We have en suite rooms with free wireless Internet, tea & coffee facilities, satellite TV, hair dryers, iron and ironing boards. We also have free secure off road parking and are within easy reach of all local amenities, Siamsa Tire, Aquadome, golf courses, fishing, horse riding and beaches. We are ideal as a base if you want to explore Kerrys wonderful countryside, the Ring of Kerry and the Dingle Peninsula. Rosemont Guest House is a traditional run family guest house and we would like to offer a warm welcome to you. We offer our guests comfortable accommodation in a warm and friendly atmosphere, all our rooms are en suite with hair dryers, radio alarm clocks, TV and tea and coffee making facilities. We have safe off road parking and a secure garage for bikes along with free wireless broadband. On request and with prior notice where possible we offer a breakfast menu for special dietary requirements including vegan options. There is a TV room for our guests to relax in, a travel cot and high chair are available for our younger guests and we also offer a 50% discount for children under 10. Complimentary tea and coffee offered on arrival. 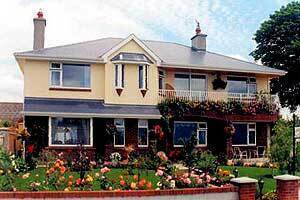 Offering quality B&B accommodation, Brownes is a country home in peaceful surroundings, siutated on the famous Slea Head drive which overlooks Dingle Bay and mountains. 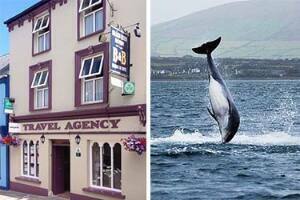 It provides an ideal starting point for discovering the beauty of the Dingle Peninsula. This smart modern house has five beautifully appointed guest rooms. All with en suite facilities and TV. Tea and coffee is served in the reading rom which overlooks Dingle Harbour. At breakfast time you'll find an extensive choice accompanied by Camilla's home baking. 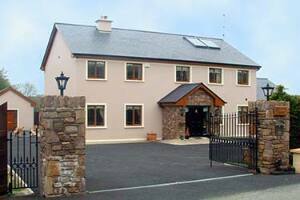 The house is located within walking distance of Dingle town with all it's restaurants and craft shops. Both Peter and Mignonne welcome you to Driftwood, a four star rated B&B situated a mere 10-minute walk from the centre of Kenmare where we are sure you will have a pleasant and relaxing stay with us. The area has spectacular natural beauty where walking, cycling and outdoor pursuits will allow you to fully enjoy the charm of the south west coast of Ireland. The Bedrooms are luxuriously appointed with an en-suite with a power shower. All rooms are carpeted with natural wood furnishings, televisions, hairdryers, clock alarms and complimentary tea/coffee facilities. 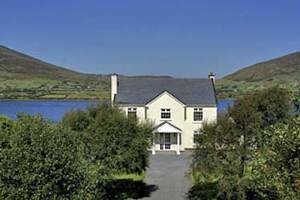 Lakeshore Lodge, near Killorglin, is a charming and unique Bed & Breakfast. Situated on the shores of Caragh Lake with views of the MacGillycuddy Reeks, Irelands highest mountain range, guests can relax in these peaceful surroundings and forget the stresses of modern life. 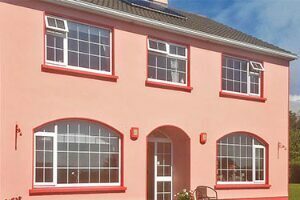 The B&B is the ideal base for touring the Ring of Kerry, famous for its fabulous scenery, and to make use of the Kerry Way, a walking path that meanders around the peninsula. There are championship golf courses within an easy drive, sandy blue flag beaches, lake and river fishing as well as sea angling, ancient historic ruins and so much more. There are fine dining restaurants locally and pubs offering traditional Irish music. Kerry Airport is only a 25 minute drive. 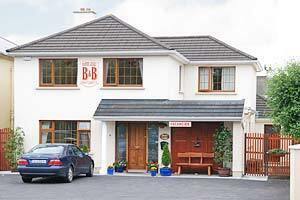 Laburnum House B&B, in Kenmare, is an ideal location on the Ring Of Kerry road(N70). Kenmare Town centre is only 10minute walk on footpath pavement with street lights. Kenmare is special; enjoying the unique location of being the only town that is on both the famous Ring Of Kerry and the beautiful Ring of Beara, making it the ideal touring base. 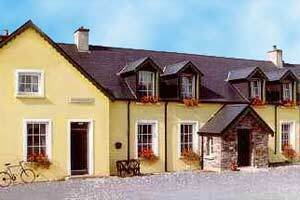 Laburnum B&B is just 8km from Molls Gap on the Killarney road. Laburnum B&B feature free Wifi and free private parking. All rooms come with a flat screen TV. Enjoy a cup of tea while looking out at the mountains or garden. 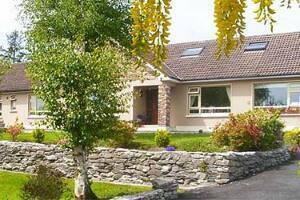 Gleninchaquin Park is 9km from Laburnum B&B, while Ladies View is 9km from the property. The nearest airport, at 33km, is Kerry Airport. This is our guests favorite part of Kenmare according to independent reviews. The Old School House B&B welcomes you to beautiful unspoiled Ballinskelligs recently awarded the gold star for dark skies and a popular with star gazers and on the new wild Atlantic way route . It nestles between two sandy blue flag beaches and stunning mountains. It is home to Ballinskelligs abbey where the monks founded their Monastery when they came off Skellig Michael in the 9-century. There are many activities locally for you to enjoy, be it cliff walks along the Atlantic waves, kayaking, canoeing, or rock climbing, abseiling a round of golf, horse riding, bird watching or simply taking in the view over a cup of coffee in our local beach cafe you can have it all. Start your day with our home cooked and totally fresh breakfast, made with our own free-range eggs and local Valencia milk you can choose from scrambled eggs with Irish smoked salmon or fluffy pancakes with berries and cream,not forgetting the traditional Irish fried breakfast and our homemade brown bread and scones. We can arrange your boat trip to Skellig Michael (Weather Permitting) or help you plan your day with maps and directions there are many historic sites on the Skellig ring and the nearby world famous Ring of Kerry is pure eye candy.You will love our house if you are a teacher or have an interest in history as we have old school records dating back to 1844 some great stories to share.